Safety and tranquility is always on the mind of Lewis “Ray” Edgell and has been for the majority of his professional life, and even more so since his retirement from the United States Marshal Service where he served as 1811 Criminal Investigator Senior Inspector with Judicial Security Division headquarter for 32 years. Ray, who resides in the Northern Neck in Wicomico Church on Cranes Creek and Richmond, has taken the elements of personal safety, security, and the beauty of nature and combined them with his expertise in outdoor lighting and landscaping design and brought them to an entirely new level. Since 2006, Ray has been providing homeowners in the Northern Neck, the Middle Peninsula, Tidewater and Richmond areas with residential lighting, not just for their home, but for their home’s surroundings. “Homeowners often tend to think of lighting from just one perspective–to light their way or to deter potential intruders or criminals” says Edgell. Consider taking a step further to where your security and safety becomes a whole new venue of personal entertainment allowing you to enjoy nature at its most glorious. Using the proper lighting fixtures, a homeowner can transform their gardens, ponds, trees, docks and piers into a literal wonderland! “Lighting can be used to soften your environment. Gone are the days where harsh outdoor lighting detracts from a home and yard’s beauty. By using LED low voltage soft lighting, the homeowner can enhance there outside world at night at an operating cost of only pennies a night said Mr. Edgell. Mr. Edgell attends on average 42 hours of Continuing Education courses a year that are sponsored by the National Garden Club, Lewis Ginter Botanical Garden, among others. He meticulously educates himself on the latest lighting technology. He also works with customers designing home security, safety and protection plans. While not engaged in business affairs, Mr. Edgell volunteers at Wicomico Parish, Woodlake Methodist Churches, Wounded Warriors Project, Rappahannock Art League, Steamboat Museum, Reedville Fisherman’s Museum, Morrattico Waterman’s Museum, and Blue Knights Motorcycle Organization. Baylites is a Professional Outside Lighting and Landscaping Design Company whose primary purpose is providing beautiful, quality lighting and landscaping design at a very competitive price. 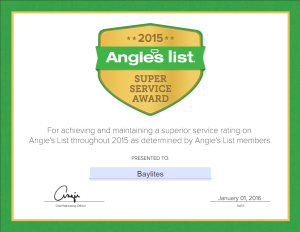 Mr. Edgell invites you to visit the Baylites website, https://baylitesllc.com — seeing is believing.